A flower opens to the sun; our hearts open to the universe. The rising sun radiates energy throughout the sky, filling the space below the heavens and covering the earth, its heat penetrating all things, quickening them into life and nourishing their development. Whatever the light touches it illuminates and clarifies, exposing hidden shadows, just as the energy of our consciousness – our awareness, thoughts and feelings – illuminate and clarify everything within and without. The creative principle acts with vitality and persistence. The cultivated person stays vital without ceasing. Heaven covers everything on earth, and originates all creatures. It is a single flow of energy, continuously circulating, never ceasing, moving forward endlessly and inexhaustibly. The way of the creative is constant change and transformation, allowing each being to evolve into its own nature and opening a path to its true destiny. The creative, Heaven, is the ultimate of health, vitality and strength, and is the source of our own health and soundness. If we follow the Way of Heaven, we are in harmony with nature, and can adapt to the changes we face, knowing when to move forward and when to stop, when to seize the moment and when to let the moment pass by. Adapting correctly to all change, we find a way that is prosperous and smooth, the obstacles we encounter do not block us, and our path reveals itself in time, each footstep and each decision opening new vistas, new possibilities. A lily produced in spring is a marvel of creativity. It embodies the ultimate unfolding of yang, the true positive energy of creation. When positive energy is born, all things cannot help but blossom. They are all in process, are transforming and happening, are flowing events rather than fixed and solid objects. The energy that opens the flower wakes you in the morning. The quality of strength in people is this same primal creative energy of heaven. This energy comes spontaneously to everything from nature, is strong but has no need of force. It is bright and lucid, illuminating everything like the sun at midday. When it appears the earth is covered with growth, the world is filled with golden flowers. Her name was Shidie Lin, she was seventeen months old and at one month her mother had abandoned her at the steps of an orphanage. The passport picture they sent us showed a sad, perplexed little girl. Did we want to adopt her? Having waited for six frustrating years, there was no hesitation, no matter how deep her sadness. She was healthy and needed a home, no more to be said. They delivered her to our hotel room, a scrawny, tight-jawed, bowl-legged tyke with dozens of ugly mosquito bites on her legs, and a strangely-shaped head. What had we taken on? Six months later, she has blossomed into a smiling, bonny, round-faced, straight-legged toddler who loves life. Love, human warmth, food and security have made her bloom. We call her Lily. As the sun opens the flowers delicately, unfolding them little by little, so the yoga exercises and breathing open the body during a slow and careful training. When the body is open, the heart is open. Yoga gives us openness and flexibility of mind and body, and opens our spirit, so that we feel the relationship between heaven, earth and all sentient beings. This feeling of oneness and unity gives us a sense of connectedness to all creation, so that we never feel alone. The asanas help develop a core strength that gives us an inner confidence and centeredness that allows us to blossom into our true self without fear and doubt. The Brihad Devata says: ‘All that exists is born from the sun’. The ancient yoga exercise, Salute To The Sun (surya namaskar) puts us in touch with the universal energy of the cosmos. The harmonious pattern of postures united in circular movements flowing into each other are part of a whole, just as a petal is part of a flower. Traditionally the sequence is performed at dawn facing east towards the rising sun so that in raising our hands upwards we offer the sun and the universe a respectful salute. The golden warmth of the sun is received by our hearts and welcomed with great love and thanks. The Lord of Love shines in everyone’s heart. When we are wise and see the Lord of Love in all living things, we lose ourselves in the service of all and find ultimate peace and joy. With truth, meditation, self-control and discipline, we can find ourselves in this state of joy and see the inner spirit, our real essence, shining in our hearts. Every day the sun rises to say “You are alive – enjoy it!” and every night when you go to bed, reflect on how wonderful it is just to be alive, to breathe and feel the joy of existence itself. At this time of year the yang energy is renewing itself; it is fragile and needs rest, nurturing and protection. This is a time to examine yourself, refine yourself, cultivate your virtue and master your mind, waiting for the right time to act in the days to come. I silently watch their return. Silence is sacred; silence is our refuge; silence is our peace. Modern life is an assault of sound, a blast of brute noise designed to grab our attention and hold it entranced by sound so that we can be sold things we don’t need. TV commercials, muzak, the constant background hum of cars, trains and planes all distract us away from our inner peace. Remember that the core of yoga is silence. When you can find that silent space within and stay in it, then you are in tune with yourself and the world: safe, secure and at home within your own skin. In this state you have no need to worry about the quality of your asana positions, or to wonder how someone else is getting along, or to fret about your work or other activities. You merely are. Existence itself is knowledge and bliss wrapped up in one, and you are that – you are one with all. The earth, too, is silent in January, the generative power sunk deep within the ground. No birds sing, no insects buzz, and life sleeps in hibernation. In Taoist alchemy this dead of winter represents the utmost quiescence, when real knowledge can emerge from primal emptiness. The alchemists call this the Living Midnight or Lead meets Winter, since winter followed by spring is like midnight followed by dawn, when the culmination of the cold dark yin energy is followed by the rising of the hot light yang energy. Slowly the yang energy emerges from its long winter sleep resting in the ground, and the potential for new life begins again. It is a turning point in the year’s cycle. When things proceed to the extreme of the deepest darkness, they naturally alternate to the opposite: the dimmest light returns. This is a law of Nature. The time of darkness passes. The winter solstice brings back the banished light. And just as light returns, so we too must also return to our inner light. In the depths of our being we must seek the self, the one, our essence or origin- that ascending force of life. Consider the meaning of this silence against the words rumbling on this page. When practicing asanas, or doing Tai Chi Chuan, we enter this meditative state of silence and in that quietness we are able to find our true selves, the inner essence, the kernel of who we really are. The Person who in movement finds rest, and who understands that movement grows from stillness and rest, sees the light, and finds peace in all his actions. Bhagavad Gita, Ch. 4. 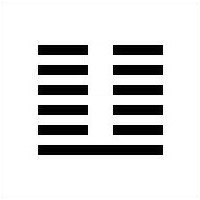 In Chinese the word for mind is hsin, which means the mind/heart. It can literally mean kernel or essence. Mind in a state of quiescence is similar to Christian innocence, the primal mind of humanity before the fruit of knowledge was eaten. To find this mind is to see your original face before you were born. One secret of a successful life is to find a way to extend this silence into the other parts of life, into the busyness of life away from the yoga mat , where the stresses and conflicts of mundane existence can easily drag us away from our inner peace. Finding inner peace and maintaining inner peace are two separate practices. Silence is a place of great power. When we find those fleeting moments of silence our meditation can then undo our bodies from the inside, in subtle ways that the asanas cannot reach. The silent state of meditation is a healing state, providing a balance and harmony to all of our existence. Periods of silence within a relationship indicate trust, love and peace – those moments when we have no need to talk, and are just able to accept the other person as they are – without criticism, judgement or withdrawal. Barechested and barefooted he comes into the marketplace. Muddy and covered in dust – how broadly he grins! Withered trees begin to bloom. In the end silence brings us closer to our true nature and to God. It is in that silence that we can be present in the moment. When we observe our breath we can find silence and stillness at that lovely pause at the end of the in-breath and before the breath turns at the end of the out-breath. These pauses, if we let them, can be our entry into the eternal. Harmony and peace naturally lead to fulfilment. Those who find harmony and peace in life will surely reap prosperity. Nature has performed her miracle and transformed the flowers into fruit. The light and warmth that makes the fruit ripen ripens all of life, filling our bodies and minds with light and warmth, opening us to the truth and goodness of the universe. Accord with the course of time. Our bodies, if we allow them to, will naturally stay in tune with nature and its cycles. We are also nature – human nature – and the energy cycles of the universe manifest in us. When there is a full moon we react like the tides with a rush of energy, and the new moon’s darkness contracts the tides and draws us to seek rest. After a time of fullness and abundance, there is a natural waning and emptying, since things cannot stay full for ever, but they rise and fall just as yin gives way to yang and yang gives way to yin. This is the nature of the universe, a law of life. Yang is the same as the constant expanding force of the universe, while yin is shown in the force of gravity that contracts and holds things in. After the fulfilment of yang there is always the contraction of yin. The days grow shorter and as night draws in the air grows cooler. But it is important to treasure and enjoy the time of fullness, and not worry about the decline. If we are humble and share our abundant and prosperous times with others, and not try to selfishly hoard them out of fear, then we spread our enjoyment widely, and increase communal harmony. This can create prosperity and abundance in the future. Real abundance means peace and joy, good health, love, the sky and sun, the sea, mountains, all the natural world and its beauties. Yang and yin, expansion and gravity, are the same dynamics found in the solar system and in our bodies. We experience expansion when we take an inbreath and we feel contraction on the outbreath. In our bodies the rise and fall of the breath reflects the rise and fall of the sun, the moon and all natural dynamic processes. There is a normal human desire to want the pleasureable and the abundant to continue, and this leads us to try to stop or deny loss and pain. But we need to accept and welcome decline in the same way that we want to have abundance, because profit and loss are two sides of the same yin and yang coin. To be fully human, we need to embrace loss as well as gain, since one cannot exist without the other. When I was a young boy in Hungary, my father taught me an important lesson. He owned a big department store, and one day while we were at the synagogue, his store was broken into, looted, and set on fire. And to make it worse, he found out it was our neighbours who did it! But it was the Sabbath and on the Sabbath you don’t talk business. So we continued with our prayers. And it came to pass that Pharaoh dreamed; and behold, seven ears of corn came up upon one stalk, rank and good. And behold, seven ears thin and blasted with the east wind sprung up after them. And the thin ears swallowed up the seven rank and full ears. The seven good ears are seven years; and the seven empty ears blasted with the east wind are also seven years, and they shall be seven years of famine. Behold, there come seven years of great plenty throughout all the land of Egypt. And there shall arise after them seven years of famine; and all the plenty shall be forgotten in the land of Egypt; and the famine shall consume the land. Joseph interpreted the dream correctly, and he advised Pharaoh to set aside a fifth of the corn from the seven good years so that there would be food available for the people during the seven lean years. We need to do the same. It is something I failed to do when I was in my full earning years. Won’t help it last longer. Houses full of treasure can never be safe. To know when to stop, to know when you have enough, is the key. When it says retire it means do not become possessed and possessive about your work and accomplishments. In other words, practice non-attachment, avoid pride and overdoing things. If we can purify our heart and mind, and be at one with the divine, then the swings and roundabouts of fullness and emptiness, gain and loss, success and failure, abundance and scarcity will not affect us. If we only desire what we truly need, and are generous in giving away the surplus, then we are always in a state of fulfilment, a state of love naturally filled with compassion, joy, peace and light. Knowing that enough really is enough is true harmony and contentment.